Antonin Scalia, the influential conservative and provocative member of the Supreme Court, has died in Texas. He was 79. Here, Scalia appears on Fox News on July 27, 2012 in Washington, DC. A sheriff's report offers a detailed account of the hours after Antonin Scalia's body was found in Texas, describing how the owner of the luxury resort where the Supreme Court justice died told the sheriff he had no authority in the matter. The report also includes a reference to a pillow that spawned conspiracy theories. When the body of the 79-year-old Scalia was found Feb. 13 in his bed at the Cibolo Creek Ranch, ranch owner John Poindexter was initially vague when reporting the death to authorities, the report said. Presidio County Sheriff Danny Dominguez complained that he was delayed in responding because Poindexter would not reveal during a phone call who had died. "I then advised Poindexter that a death reported in Presidio County was under my jurisdiction and that it should be reported to my office," Dominguez wrote. "He then stated to me that this death was way beyond my authority and that it should go to the Feds." After a series of phone calls, Dominguez met U.S. marshals at the ranch near Marfa, about 190 miles southeast of El Paso, where they were taken to Scalia's room. They found the jurist face-up in his bed, with sheets pulled to his chin and his hands at his side. Scalia was lying against three pillows stacked to elevate his head, and Dominguez said he "appeared to have fallen asleep in that position, indicating he died in that position as well." At some point, the top pillow shifted under the weight of Scalia's head, causing part of it to slide down and cover his eyes, Dominguez wrote in the report, which was first obtained by The Washington Post. "The position of the pillow did not seem to have inhibited Scalia's breathing," the sheriff said. "The sheets and pillows that were being used by Scalia were still in the creased position from that day's room service, indicating that there was no struggle involved." Poindexter told the San Antonio Express-News that Scalia was found in his bed with "a pillow over his head," a comment that seems to have generated theories that Scalia was attacked and possibly suffocated. The theories were abetted by leading Republican presidential candidate Donald Trump. "They say they found the pillow on his face, which is a pretty unusual place to find a pillow," Trump told a talk radio host Feb. 15. Speculation was also fanned by the decisions not to do an autopsy -- the Scalia family asked that one not be performed in order to speed the body's return to Virginia -- and to conduct a death inquiry over the phone. The inquiry was done by county Judge Cinderela Guevara, the county's top administrator. Texas officials have said certifying a death by phone is not typical but occasionally occurs in rural areas when an official is unable to travel a long distance and must rely on investigators at the scene. The sheriff's report reveals an orderly bedroom at the ranch, with Scalia's clothes neatly folded in his suitcase, other clothing hanging in the closet and his watch, keys and a pen laid out on a work table. Next to his bed was a "breathing apparatus," the sheriff said, with the hose for the machine resting on the edge of the bed. It was not clear why Scalia needed the machine, but he had a series of health ailments that included sleep apnea. Scalia had more than a half-dozen illnesses and complications, according to a letter from Rear Adm. Brian P. Monahan, the attending physician for members of Congress and the Supreme Court, to Guevara, who determined that the jurist died of natural causes. 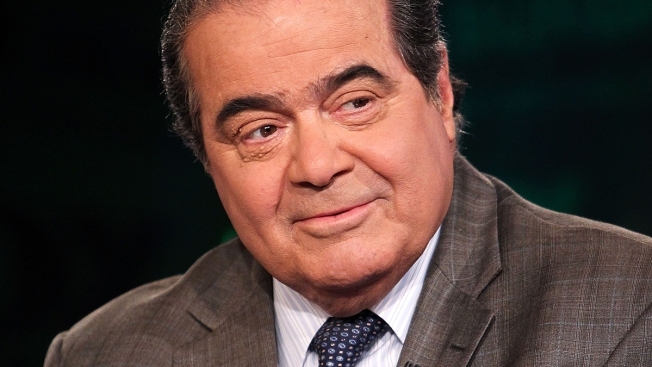 Scalia's ailments included coronary artery disease, diabetes, chronic obstructive pulmonary disease and obesity.